Comanche's INDUSTRIAL TANDEM/F trailers are made to transport and carry heavy loads. 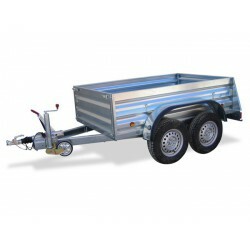 Robust trailers, agils and handy that enables the transportation of any kind of objects and goods: building materials, farming, bricolage, machinery... 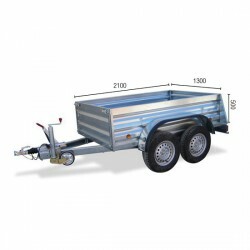 It do not matter which weight or shape it has, it is a hard trailer that carries anything.